After spending few minutes on the web I have found the solution from this post! 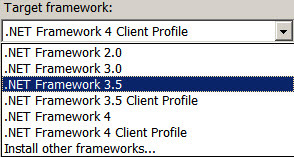 The problem of this error is that, Visual Studio 2010 sets the .NET Framework Version to “.NET Framework 4 Client Profile” in default. 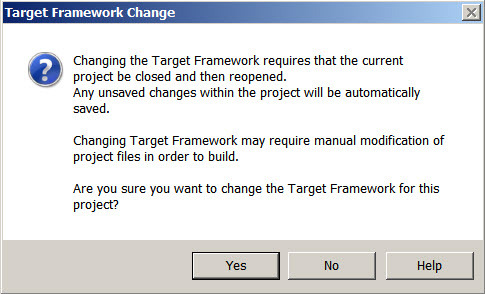 When you change the target framework, it will ask for the confirmation, just click Yes to continue..! That’s all, we are done with this error! When I started using the Client Object model (Client OM) in SharePoint 2010, I have got this simple error and I just want to share with you in this blog. Following was my develpment environment. "The type or namespace name 'SharePoint' does not exist in the namespace 'Microsoft' (are you missing an assembly reference?)" 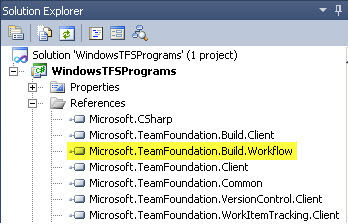 SharePoint 2010 does not support .Net 4.0 in default and Visual Studio 2010 default framework is .Net 4.0. Step 3: Warning message will be popping up, click Yes. Please Note: If you use Windows Application then you will be getting an other error message! 😦 To solve this issue just click here. The control tree into which viewstate is being loaded must match the control tree that was used to save viewstate during the previous request.